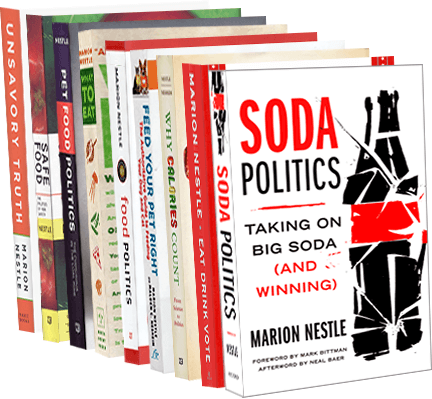 Food Politics by Marion Nestle » Does the USDA promote and support scientific integrity? Does the USDA promote and support scientific integrity? I was interested to read a discussion by PEER (Public Employees for Environmental Responsibility) of a report from USDA’s Inspector General on a survey of the research climate within the agency. Dr. Jon Lundgren, one of USDA’s top entomologists represented by Public Employees for Environmental Responsibility (PEER), publicly complained of political suppression of research linking potent new insecticides pushed by agribusiness with declines in wild pollinators, such as monarch butterflies. Most scientists have not had problems with scientific integrity in their research in recent years…29 scientists (2 percent) indicated that entities external to USDA had pressured them to alter their work and 42 scientists (3 percent) indicated a Department official had pressured them to omit or significantly alter their research findings for reasons other than technical merit. Of those scientists who felt pressure to alter their research (referenced in the previous bullet), most did not report the incident because of fear of retaliation, reprimand, and reprisal. Nearly 40 percent didn’t bother to take the survey…Of those who did, more than half said they didn’t know how to file a complaint and some said they didn’t do so because they feared retaliation. nearly one-tenth report their research findings have “been altered or suppressed for reasons other than technical merit.” However, not one filed a Scientific Integrity complaint. Most (60%) confess they did not know how to file a complaint…. [and] A majority of respondents (51%) do not think that USDA strongly promotes scientific integrity or refused to venture an opinion.